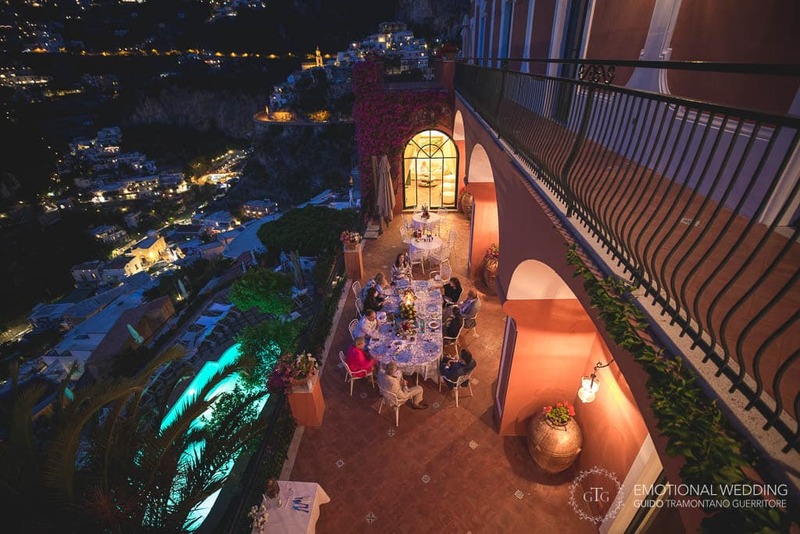 It’s no wonder Positano is one of the world’s most sought after wedding locations. 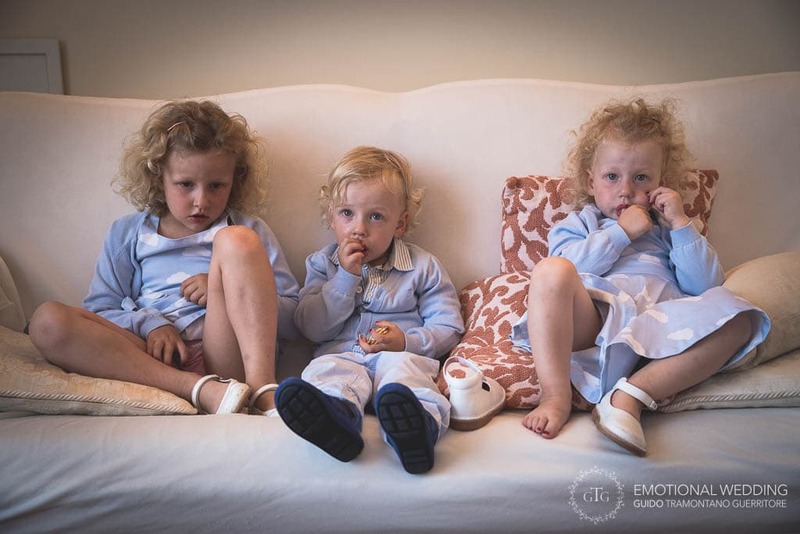 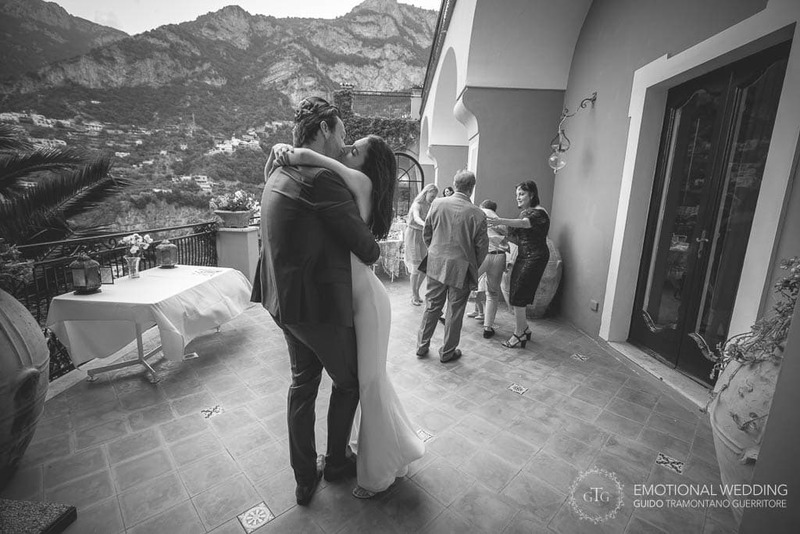 Every corner provides the ideal backdrop for the photos of your special day. 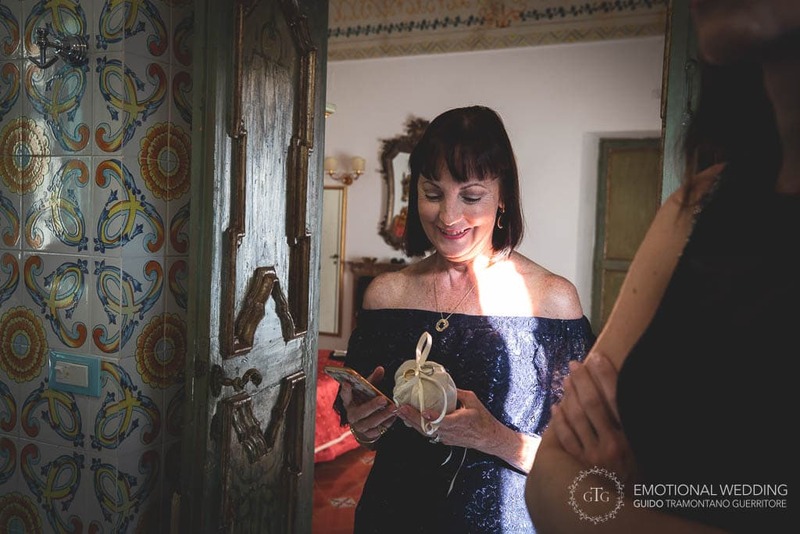 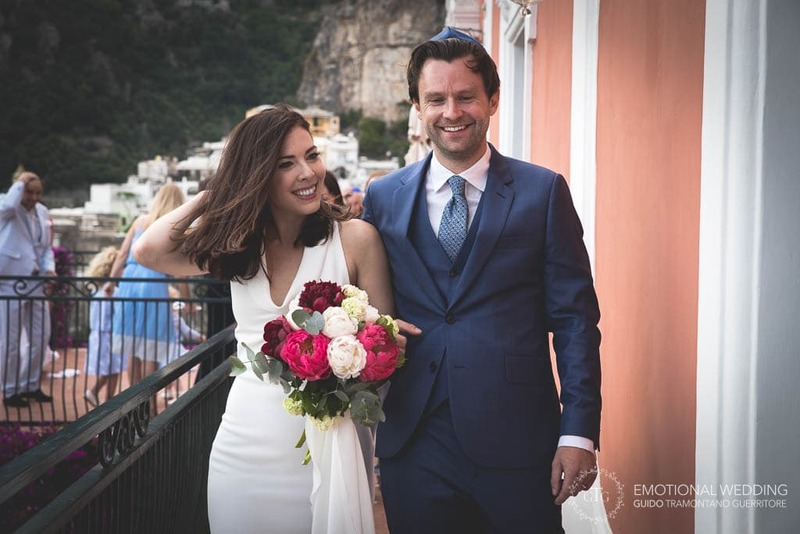 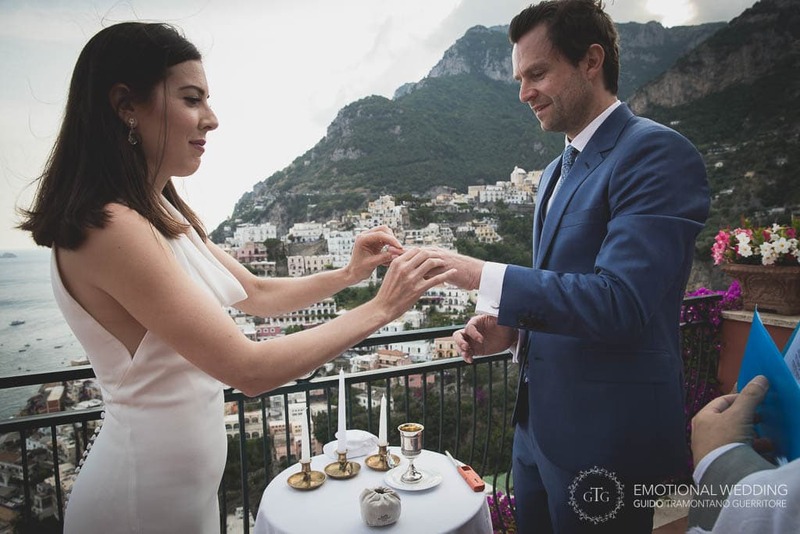 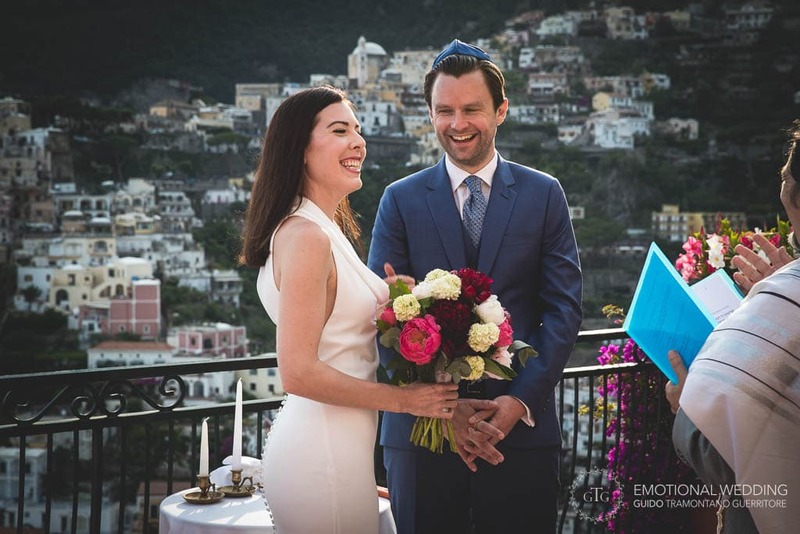 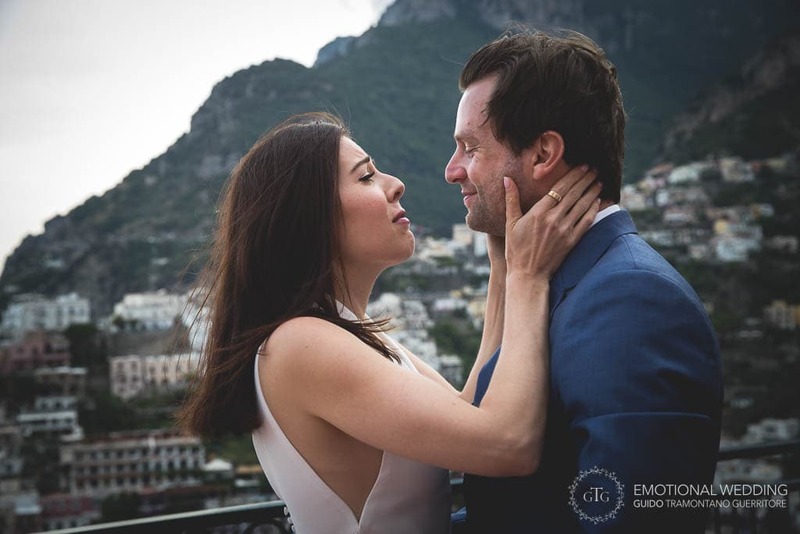 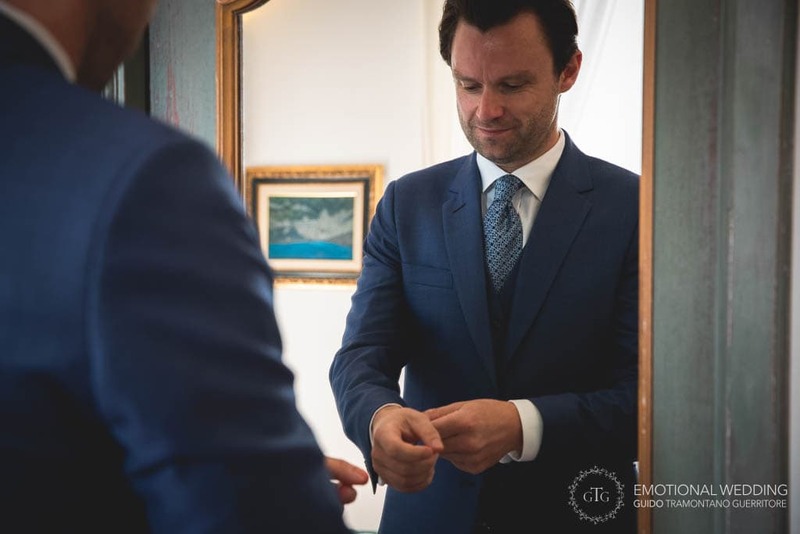 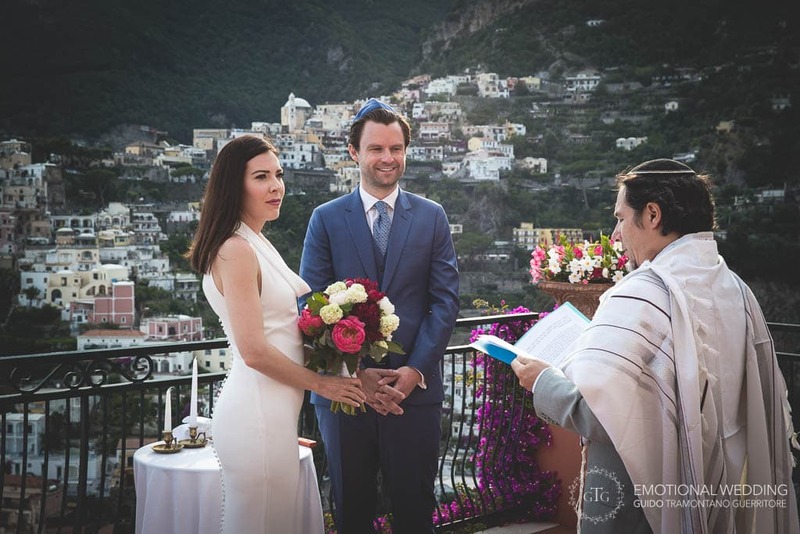 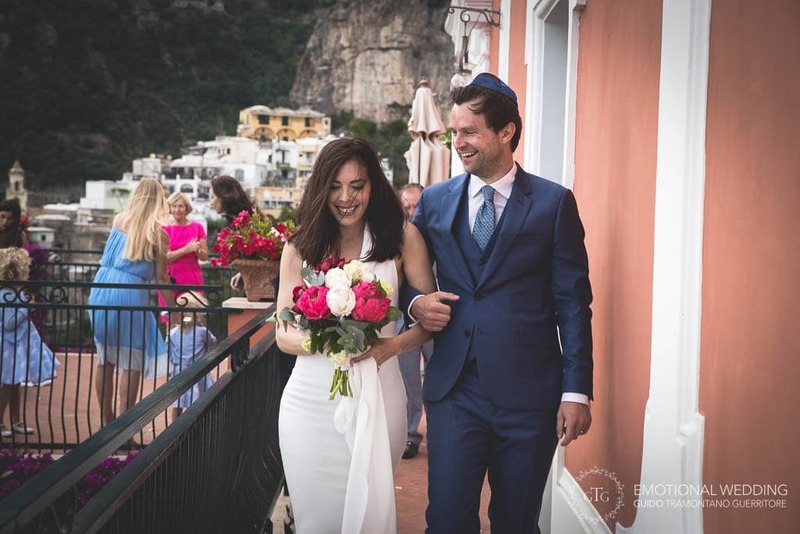 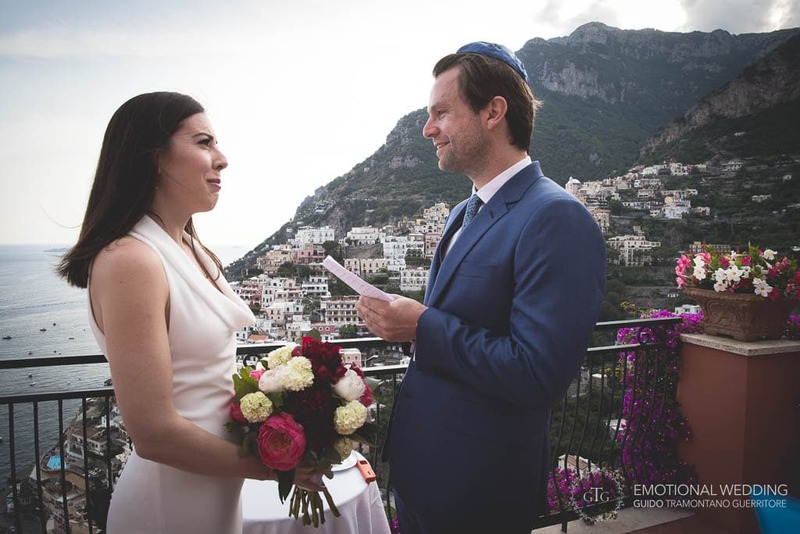 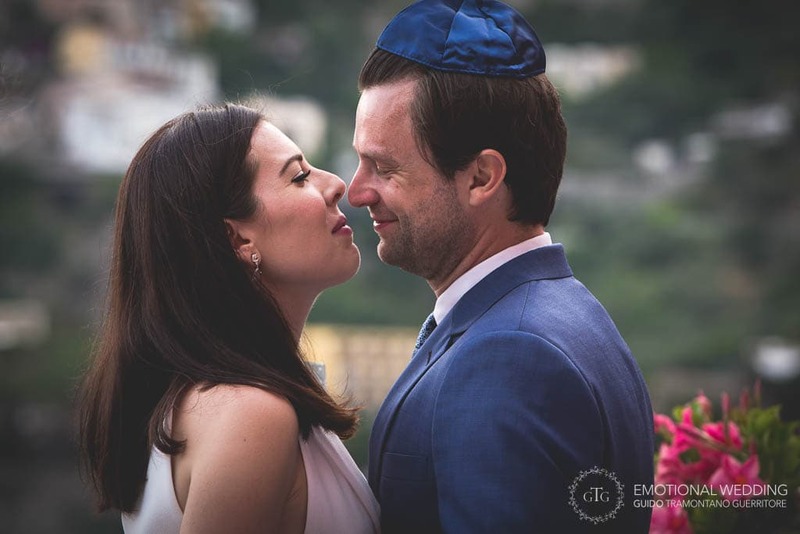 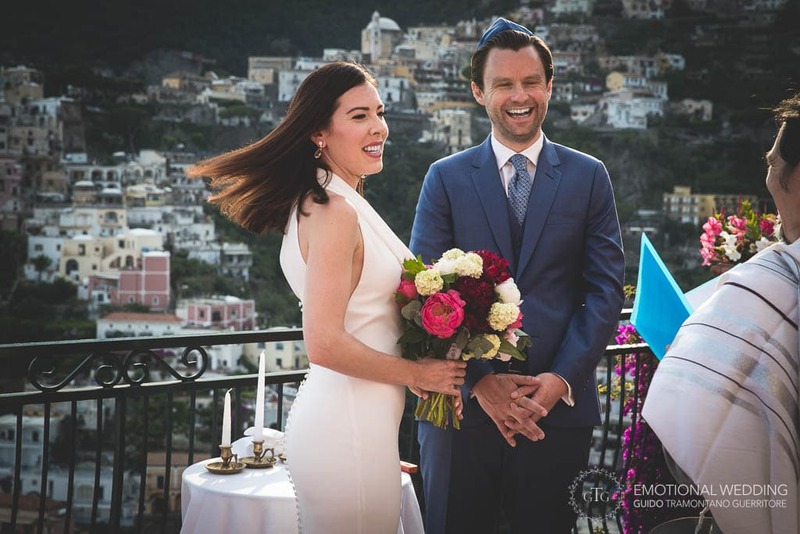 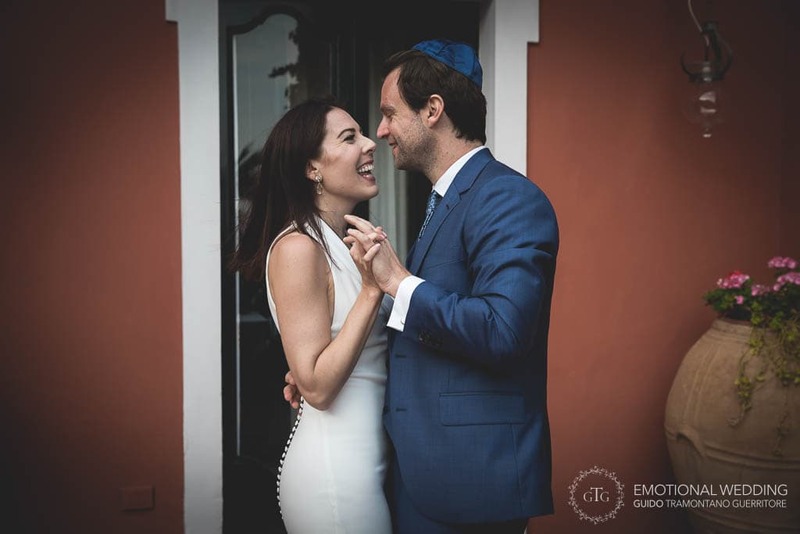 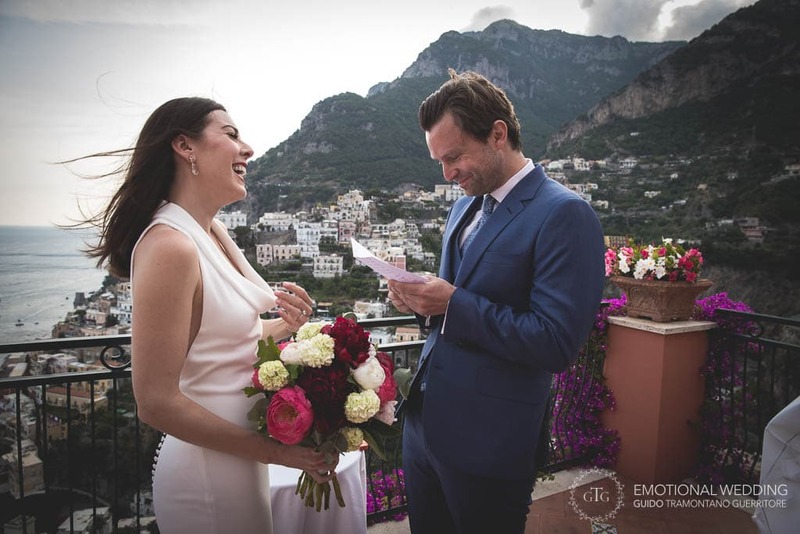 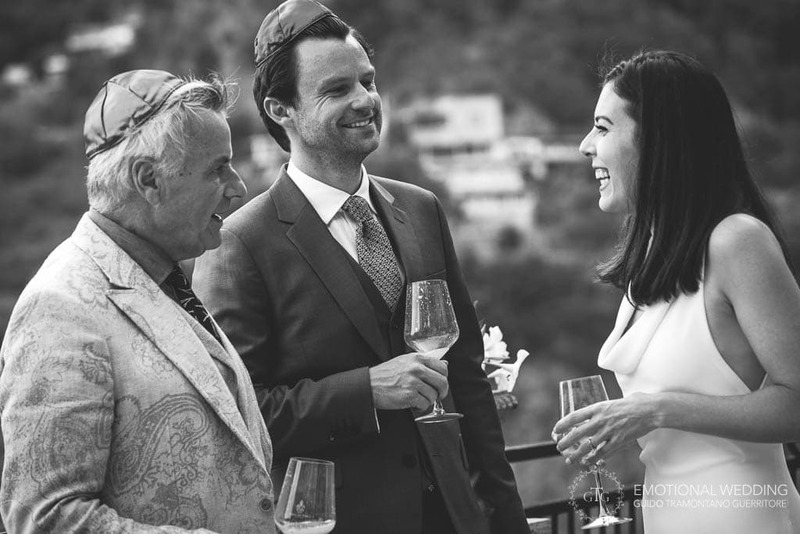 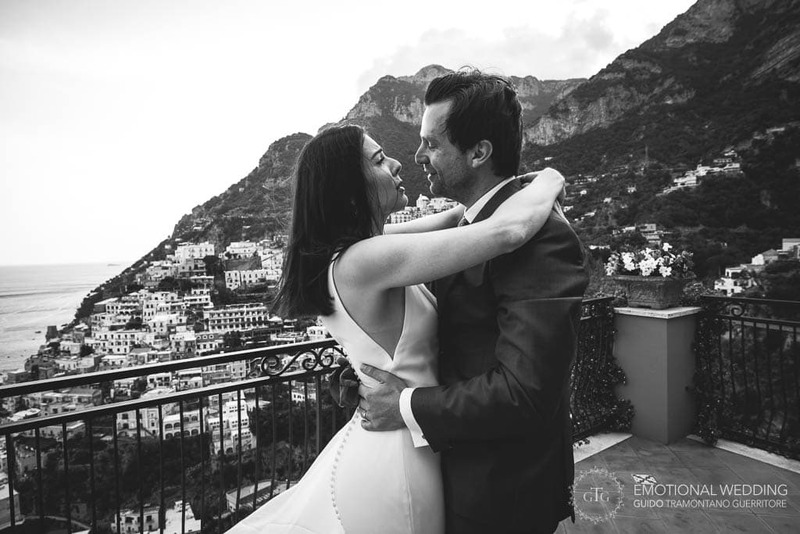 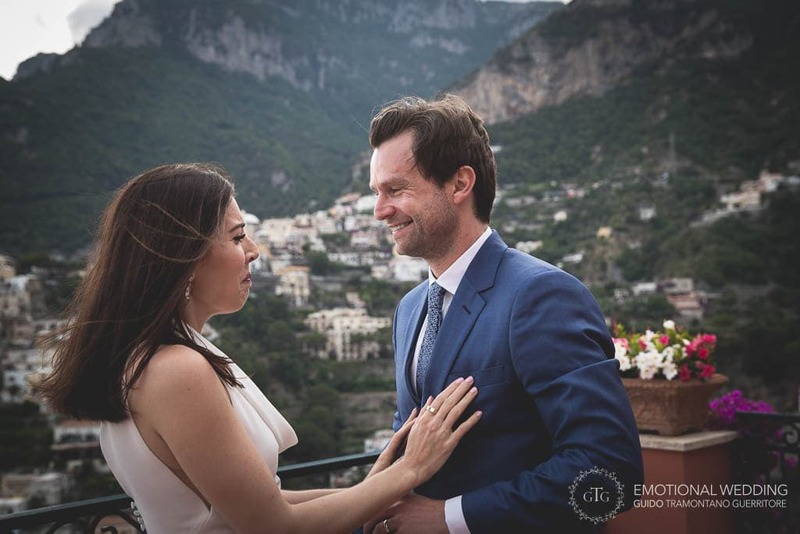 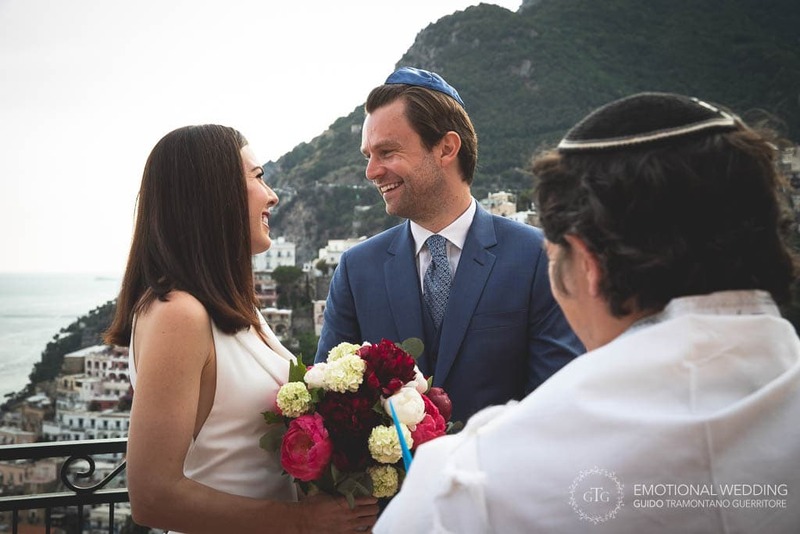 Adrienne and Sebastian celebrated a symbolic ceremony at a private villa they rented in the “Jewel of the Amalfi Coast”. 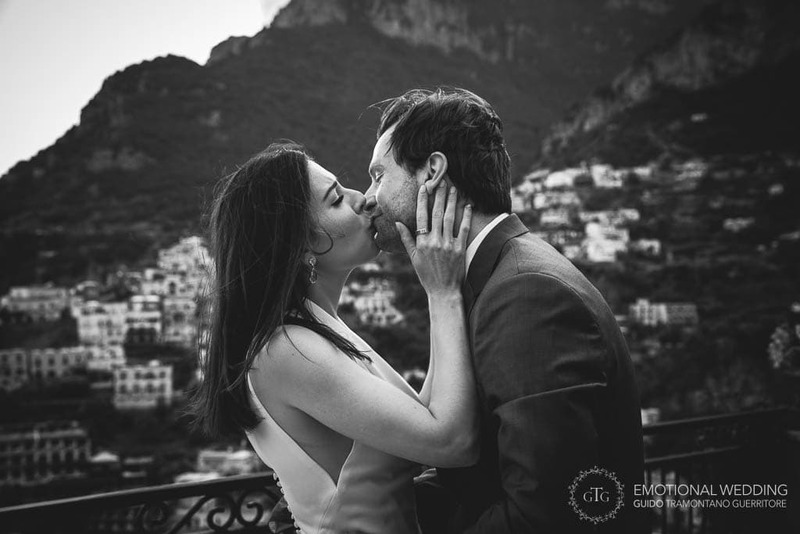 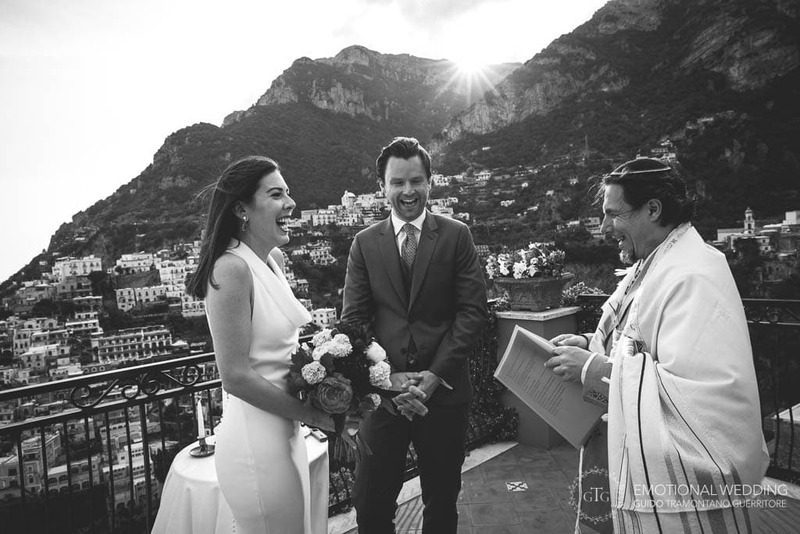 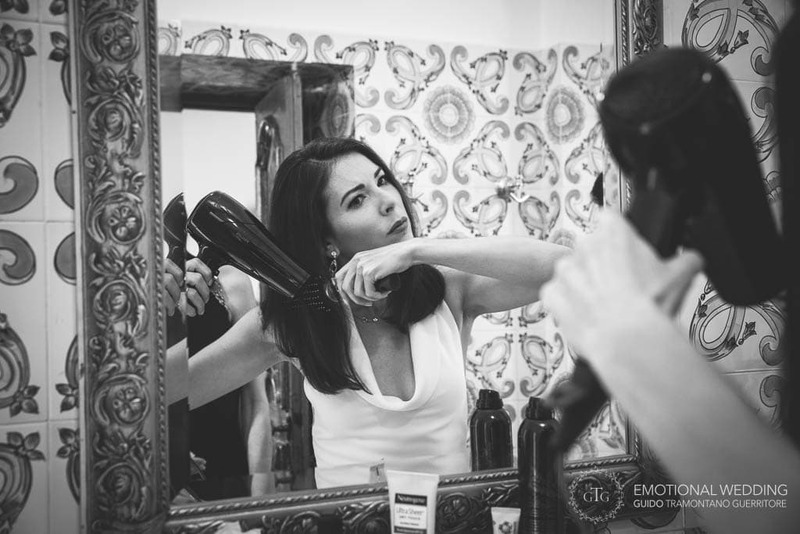 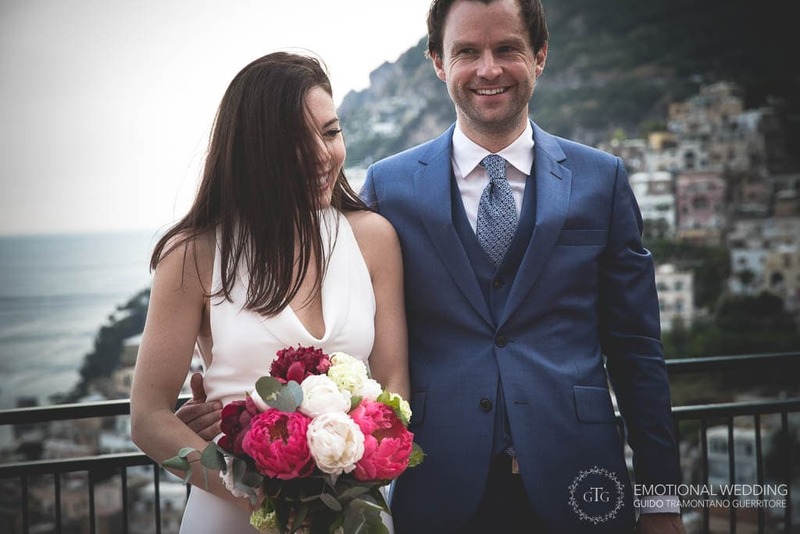 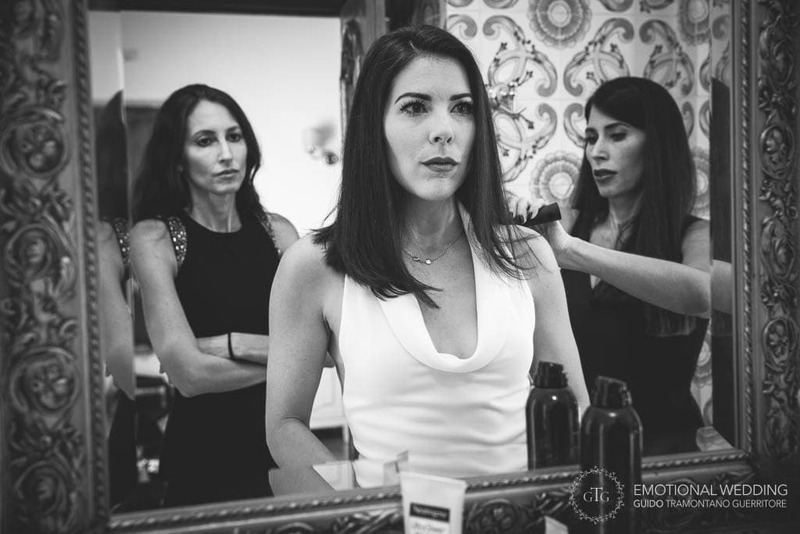 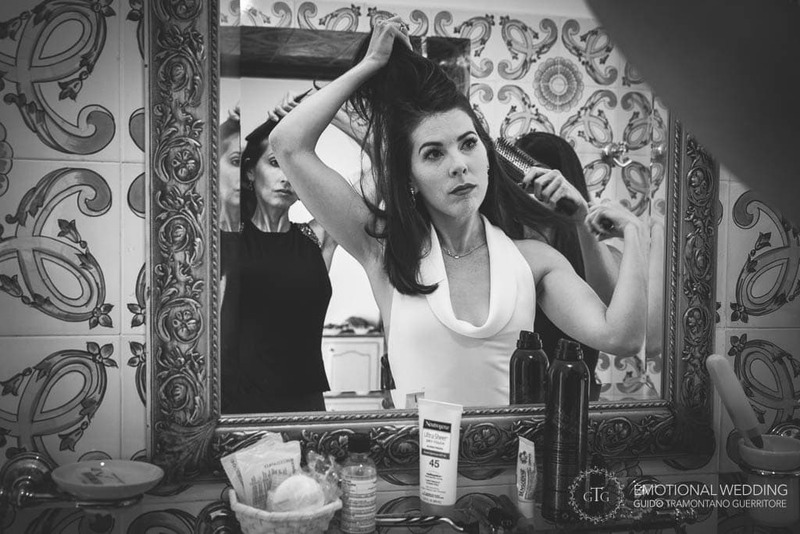 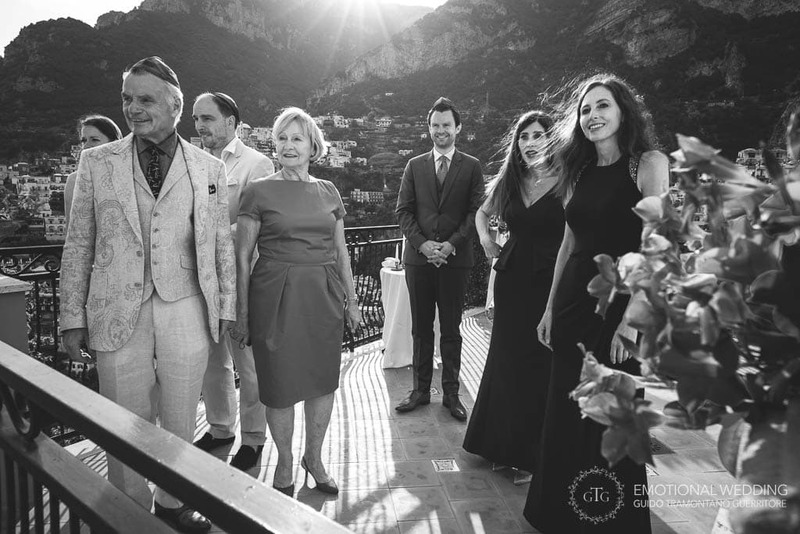 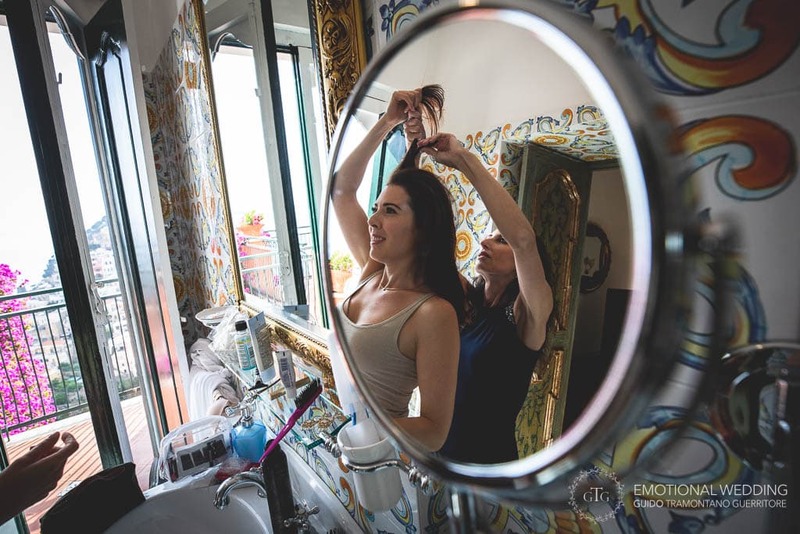 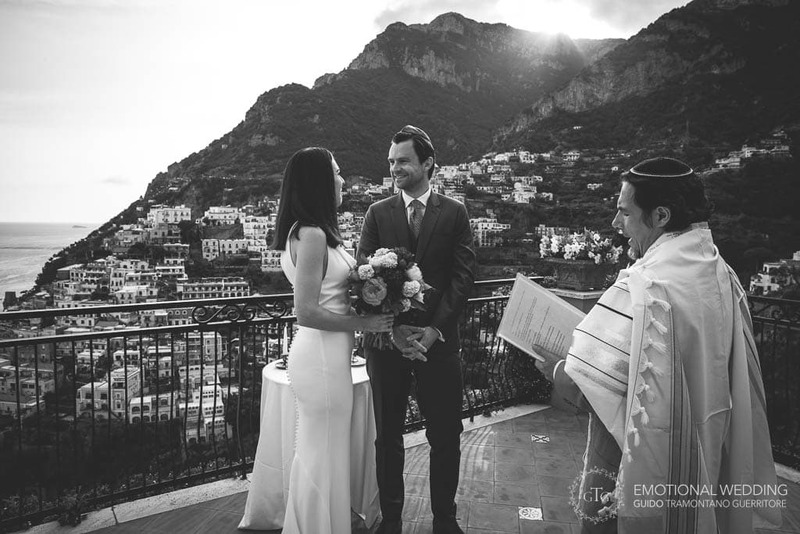 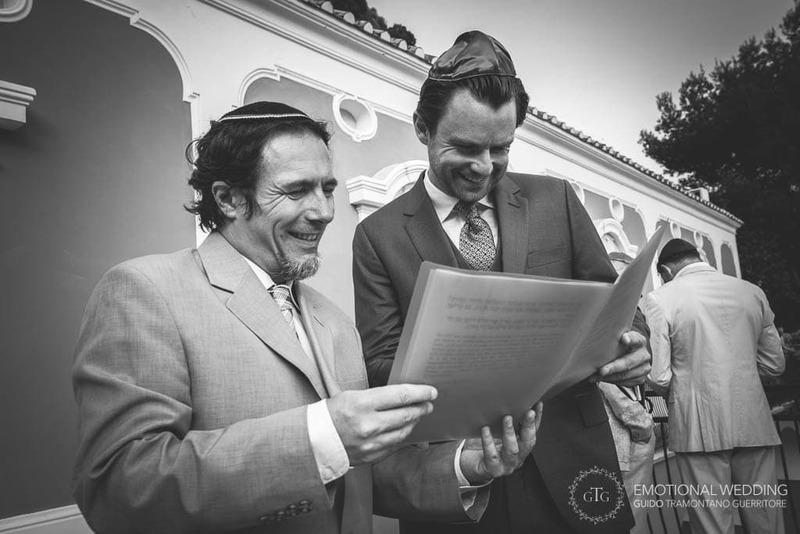 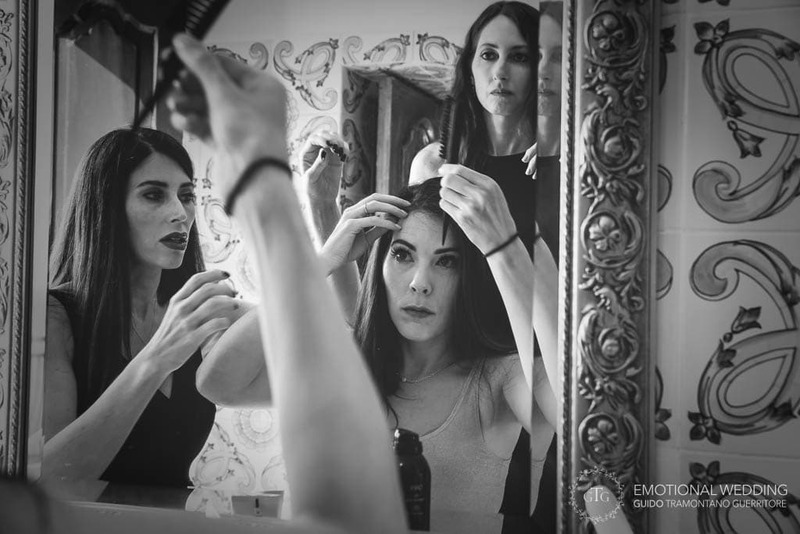 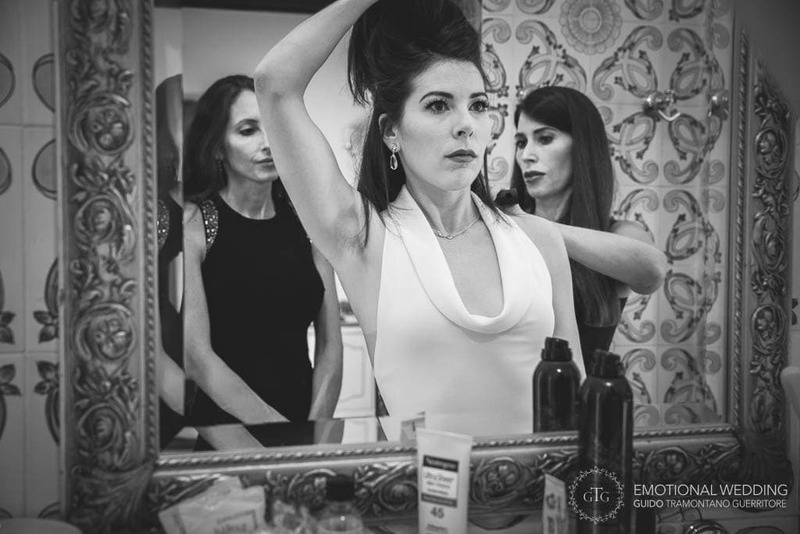 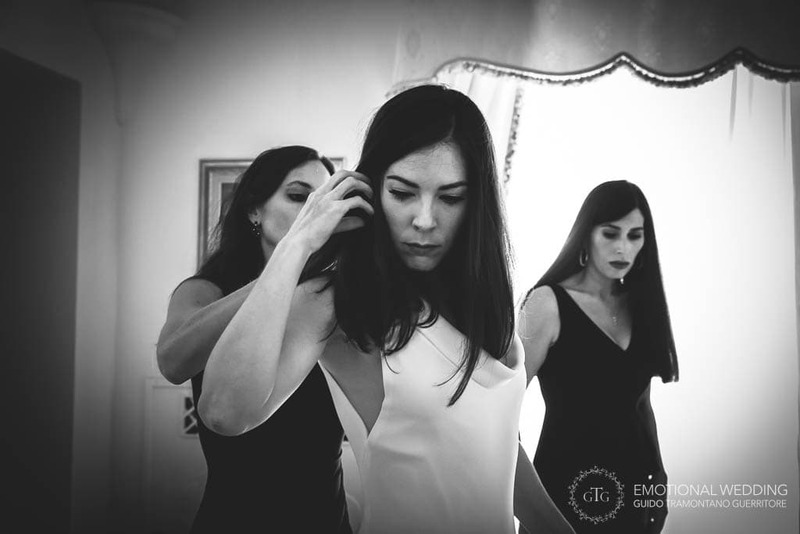 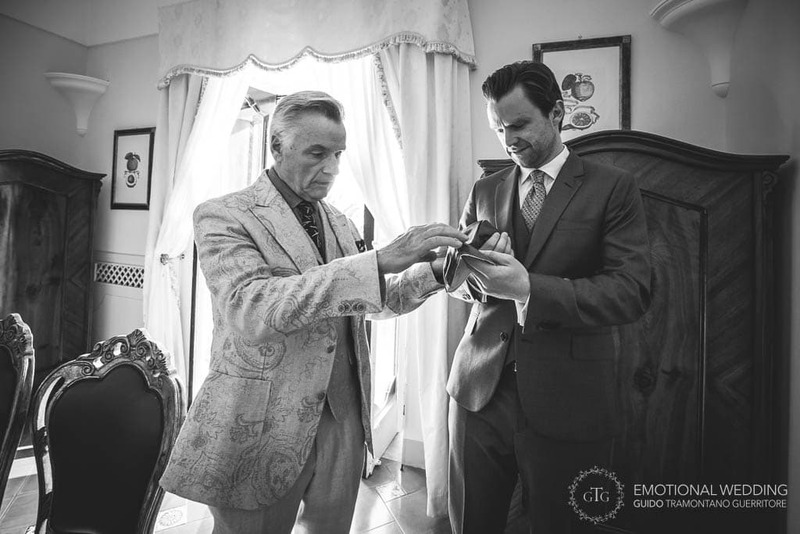 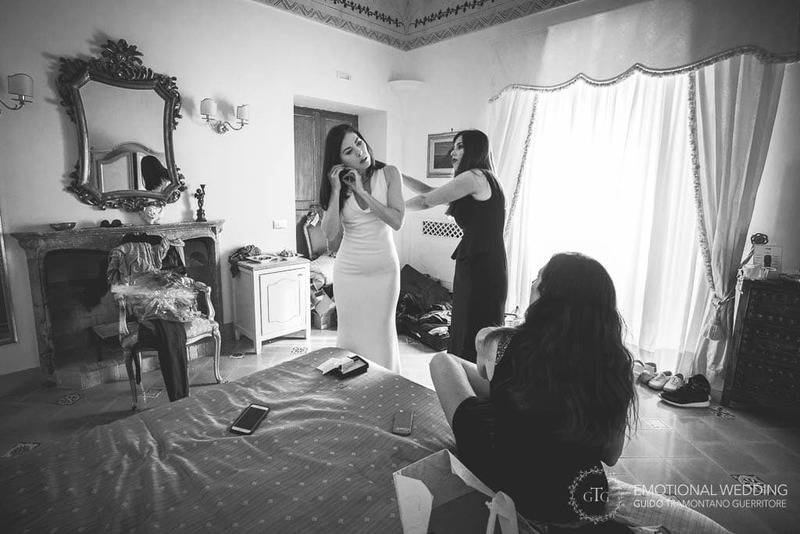 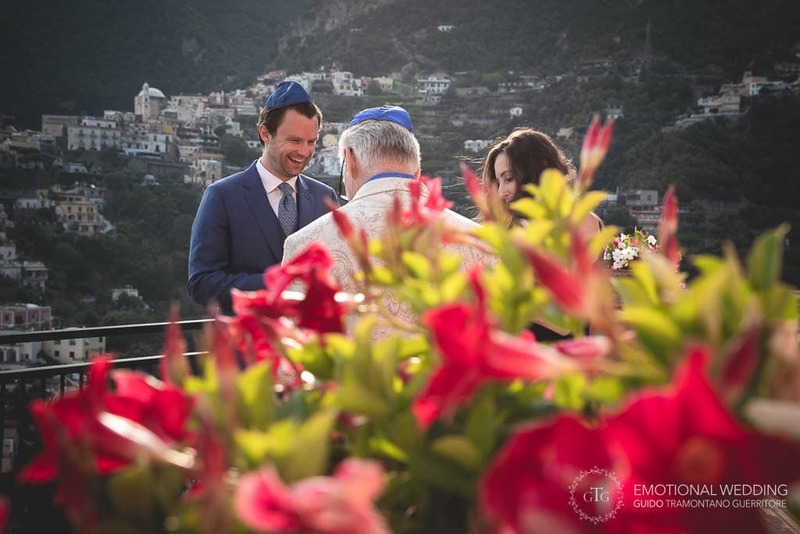 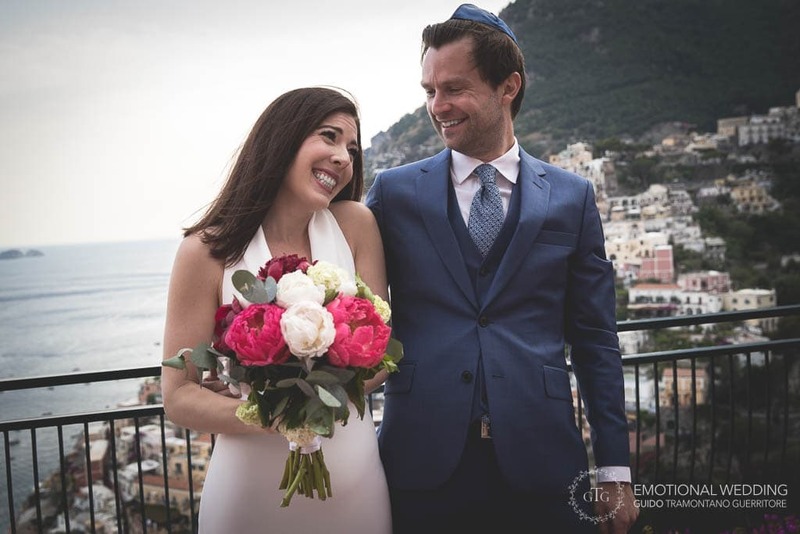 An intimate and romantic wedding, with only their families and the Positano wedding photographer. 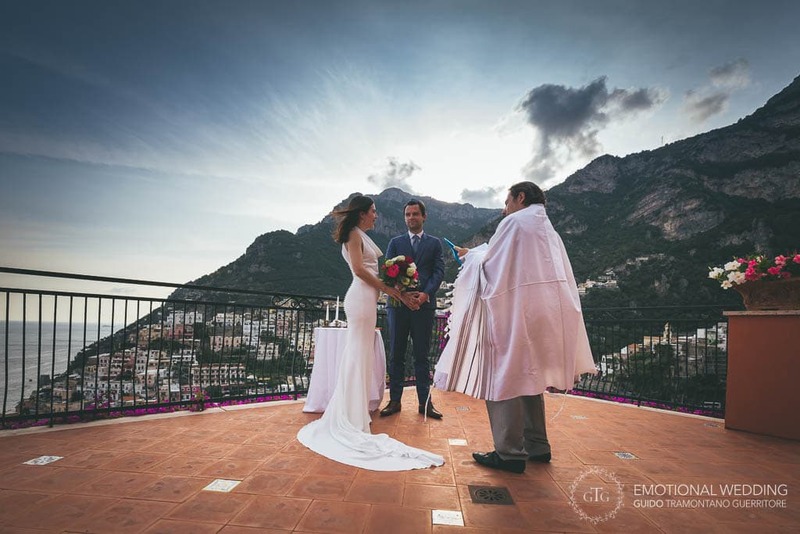 The venue they chose for the big day was indeed a wise decision. 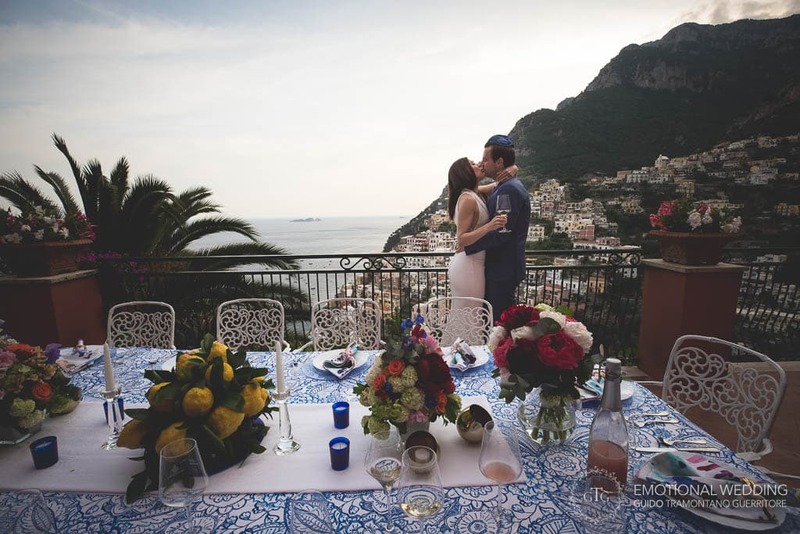 The villa, in fact, sets in a strategic position, facing one of the most enchanting scenery in the world. 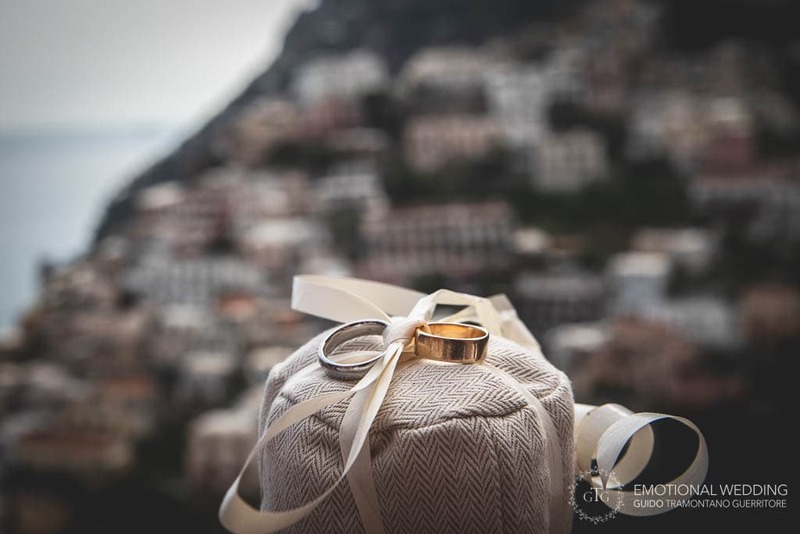 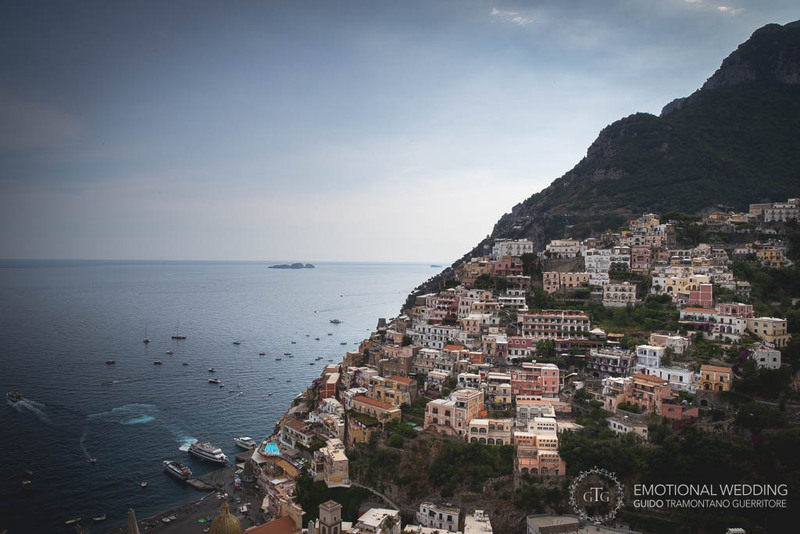 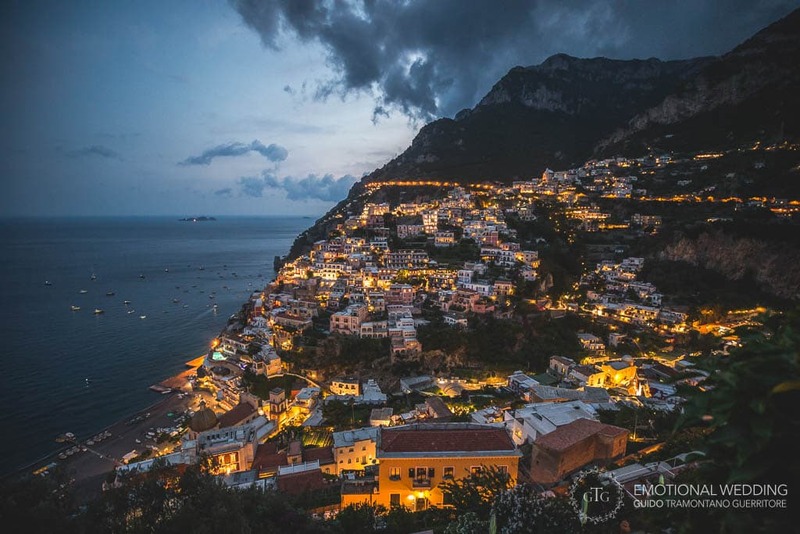 The couple and their families could enjoy one of the best view of Positano from above, overlooking the picturesque town and the glistening sea. 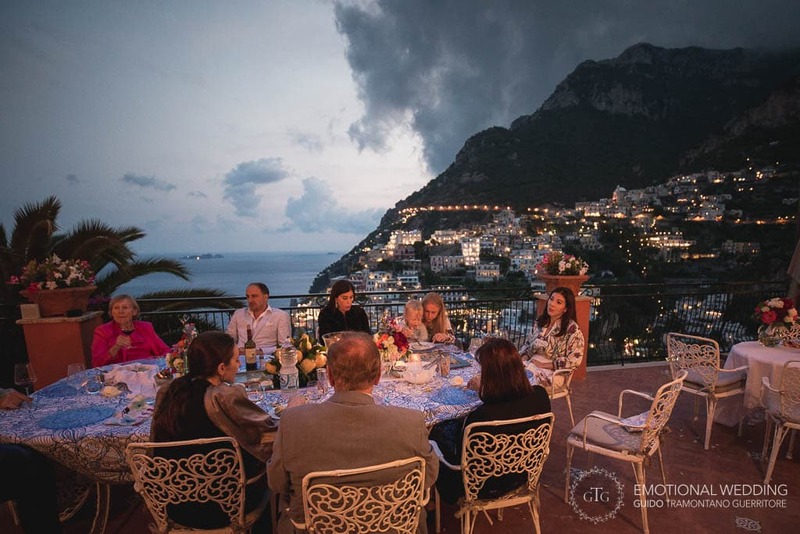 The atmosphere was relaxed and romantic and on top of that the weather was just fine. 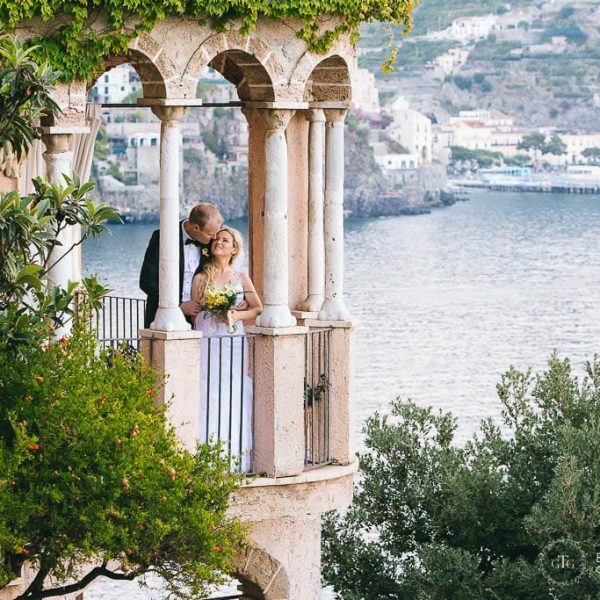 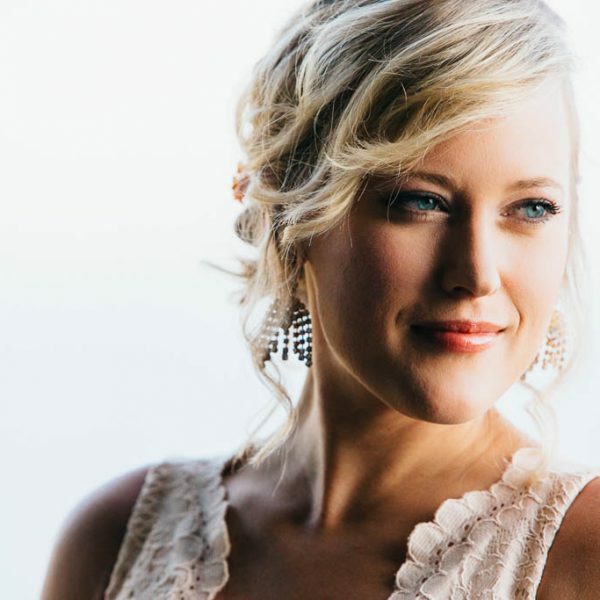 They had planned everything down to the last detail for an open air romantic wedding. 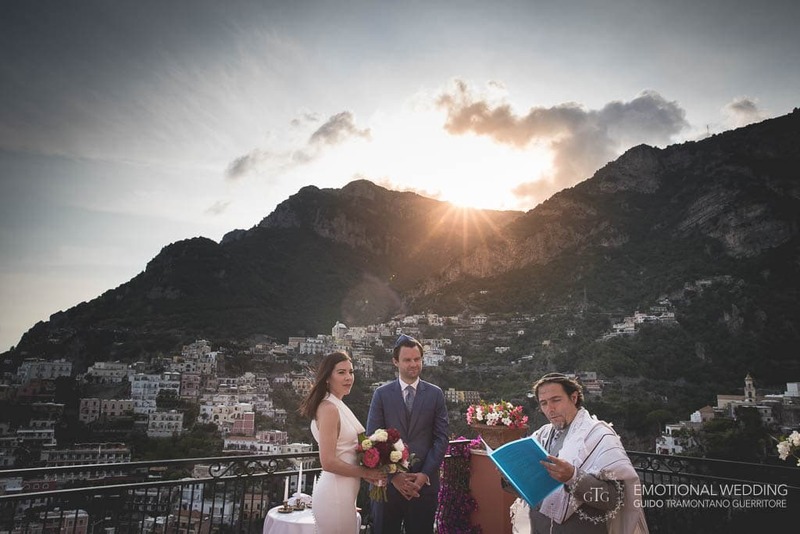 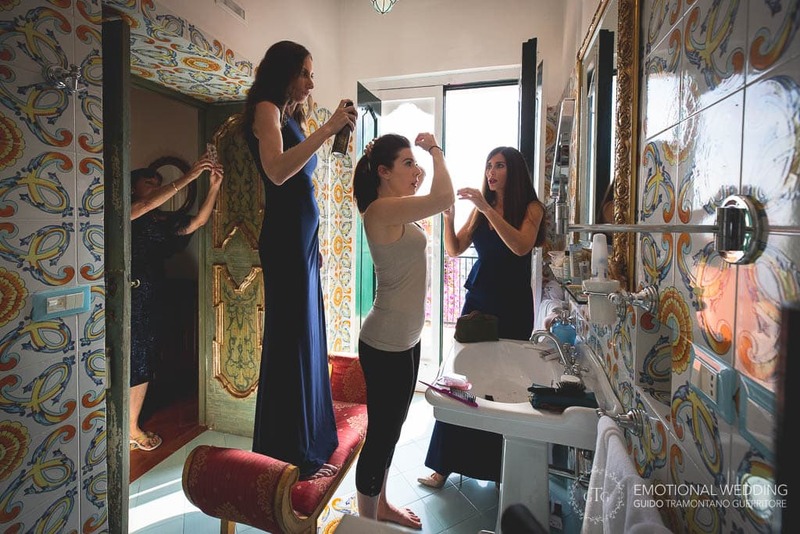 Most of all, though, they wanted a Positano wedding photographer who would shoot the wedding with a non intrusive approach. 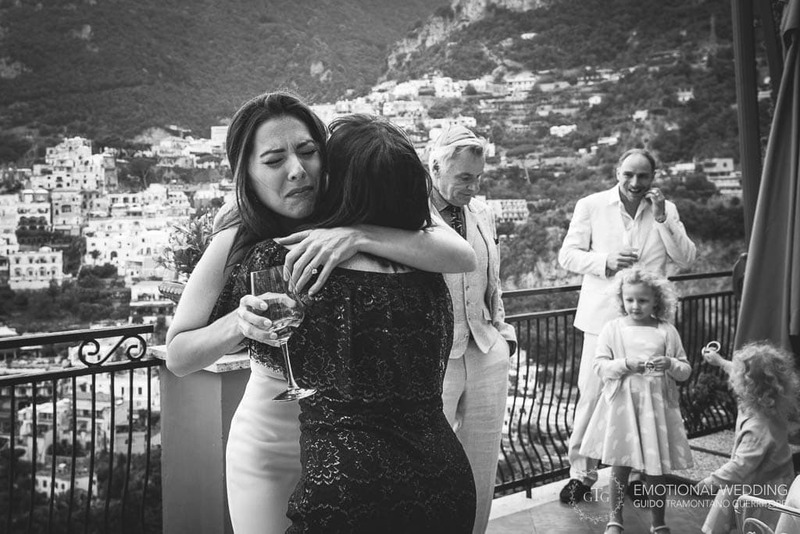 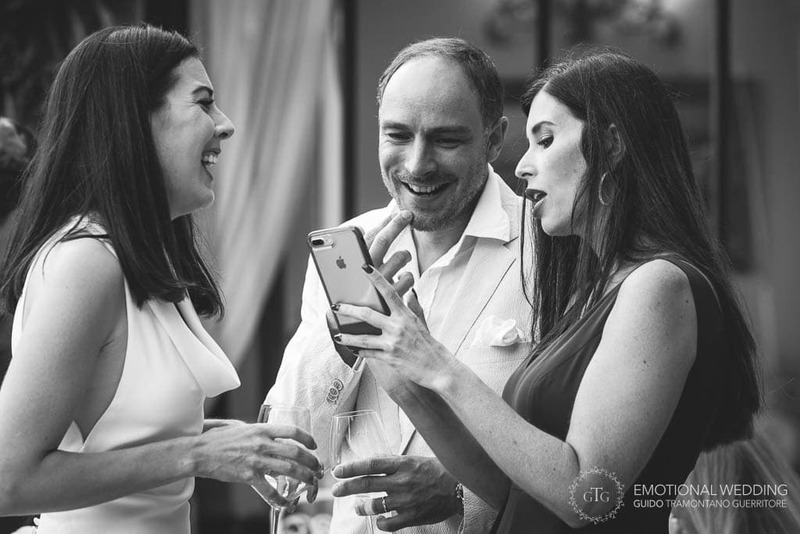 Someone who would just be able to document all the emotions and the best moments from the outside. 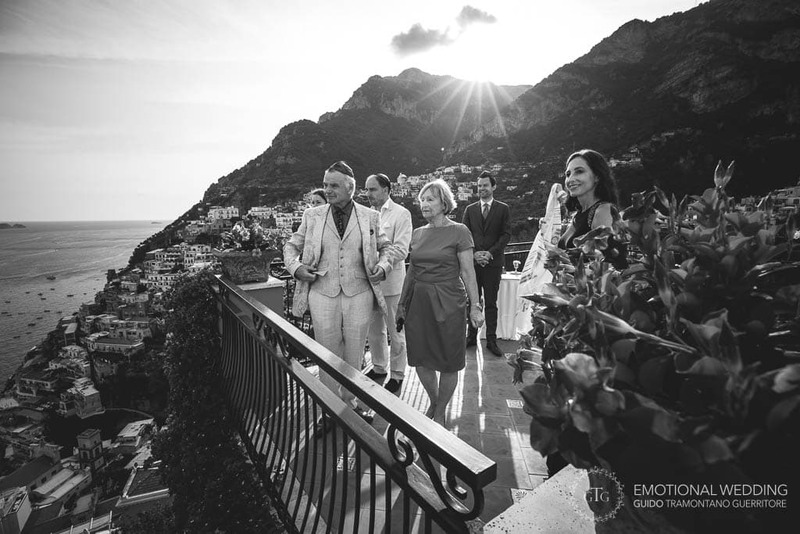 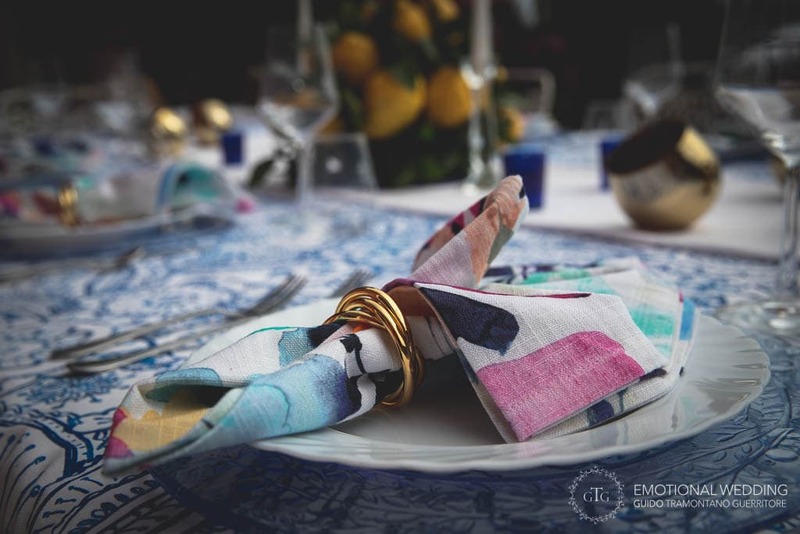 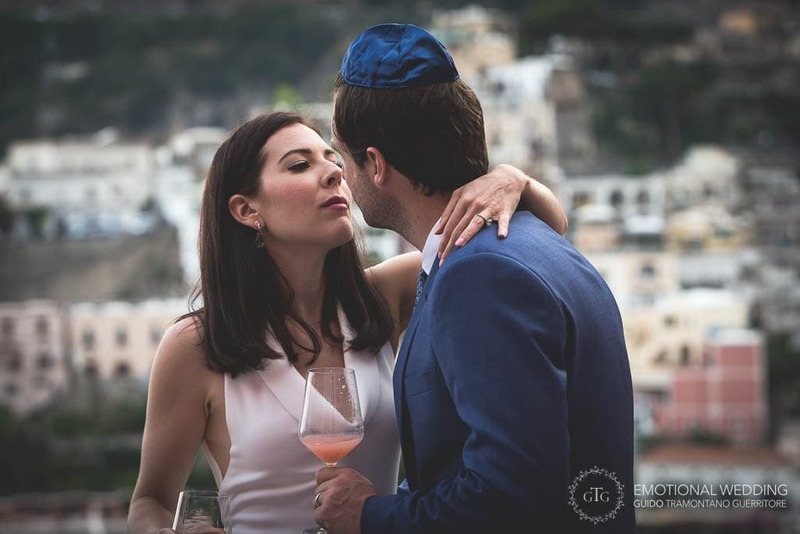 So after an elegant ceremony, the couple opted not to go around the town for a photo shooting, just to relax and enjoy the villa, the fine food and the gorgeous views at sunset. 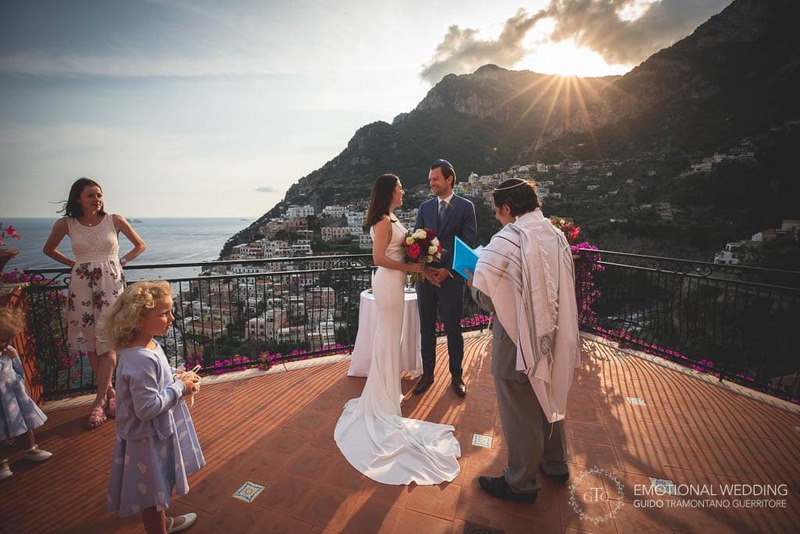 After all the villa itself was just a perfect backdrop for photography. 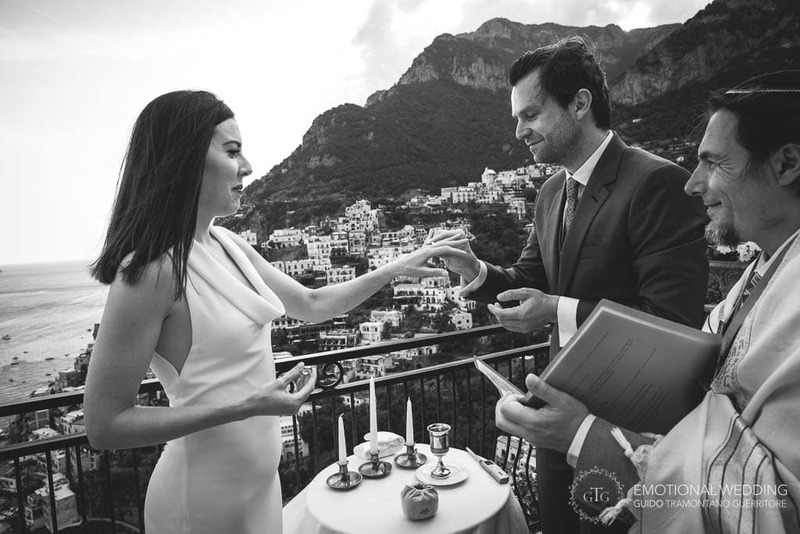 Positano is a truly unforgettable place to exchange your vows, with its terraces overlooking the rooftops of the town and stunning views both by day and night. 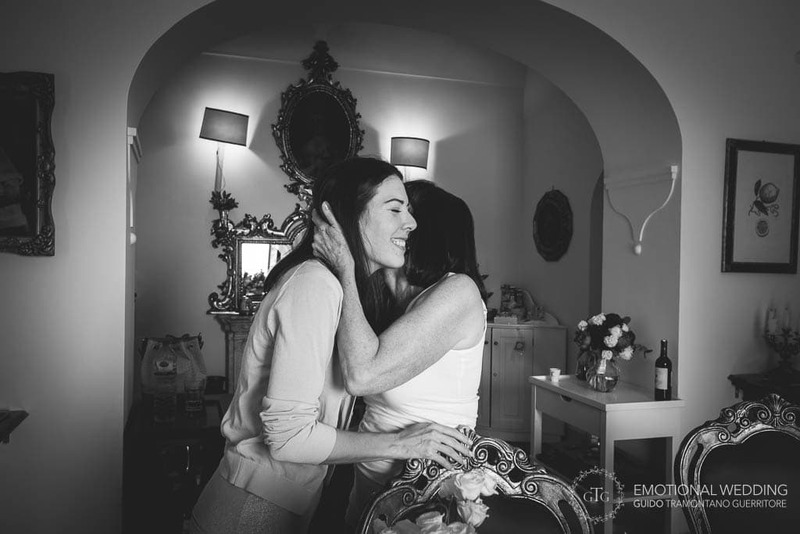 Did you enjoy these pictures? 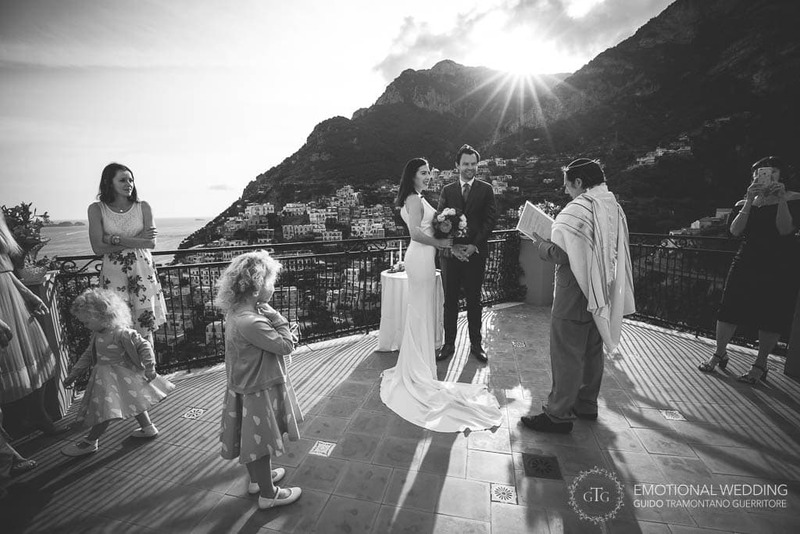 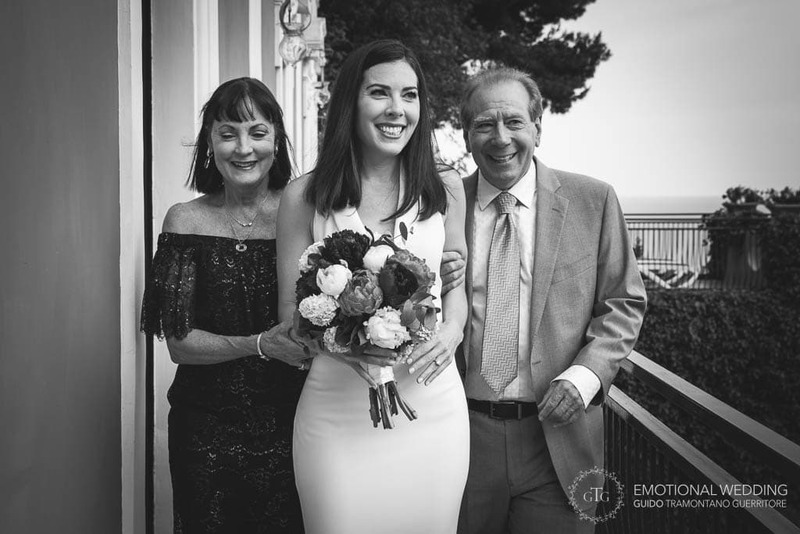 If you are looking for a Positano wedding photographer, get in touch to ask for a quote for your wedding shoot on the Amalfi Coast.